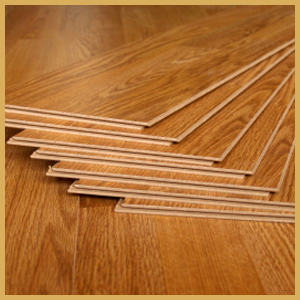 Laminate flooring (also called floating wood tile in the United States) is a multi-layer synthetic flooring product fused together with a lamination process. Laminate flooring simulates wood (or sometimes stone) with a photographic applique layer under a clear protective layer. At Tuft-Tex, we carry high-quality flooring from Bruce, Mohawk and Armstrong.